Public awareness campaigns have been central and crucial to reducing the personal and global burdens associated with cancer – which in its many forms is a leading cause of death worldwide. Indiscriminate and affecting individuals of every age, race and gender, the National Cancer Institute (NCI) estimates that in 2018 alone over one million new cases will be diagnosed in the United States with skin cancer or melanoma accounting for more diagnoses than all other cancers combined. Unlike most cancers that can hide in the body and remain undetected until the disease has spread too far, melanoma presents visible marks on the surface of the skin, which can aid in early detection, intervention and treatment as long as individuals are aware of its telltale signs. Although skin cancer has the highest survival rate of all cancers, most Americans still do not use sunscreen – one of the easiest and most effective methods in skin cancer prevention. What’s more troubling, the rates of melanoma have been rising for the last 30 years according to the American Cancer Society, with one person dying of the disease every hour. That is just one of the many reasons why May has been designated by the U.S. Department of Health and Human Services as Melanoma/Skin Cancer Detection and Prevention Month. With summer just around the corner and people looking forward to spending more time outdoors— whether at the beach, hiking or playing a round of golf—May is the most opportune time to remind us all that prevention is still the best medicine. In addition to a wide range of skin cancer prevention organizations that are participating in Melanoma/Skin Cancer Detection and Prevention Month, businesses, corporations and individuals alike are also playing their part to spread the word and keep communities healthy and sun safe all year long. 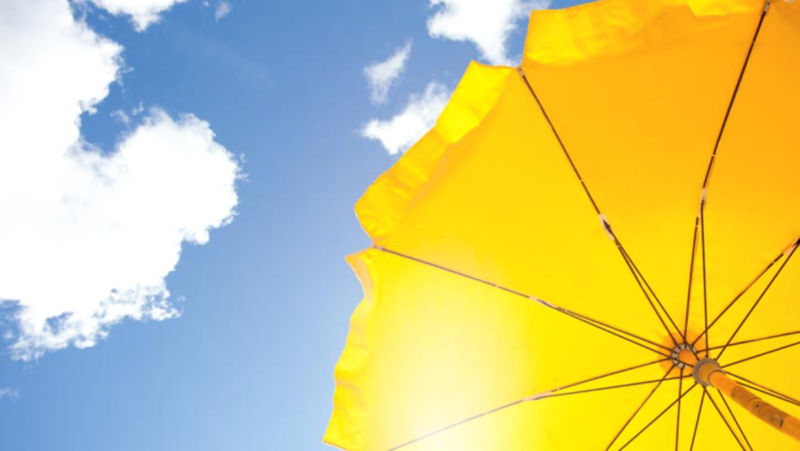 Prevention in Action – Creating an awareness and understanding of the harmful effects of damaging sun rays is the first step toward a world without skin cancer. It’s never too late or too early in life to start developing healthy and lifelong habits that prioritize sun safety. Thanks to Melanoma/Skin Cancer Detection and Prevention Month and the myriad ongoing public awareness campaigns utilizing social media, live events and celebrity ambassadors, more children and adults than ever before are learning about melanoma – how to spot it and the importance of sunscreen as a first line of defense. Saving Lives through Early Detection – As greater awareness of melanoma leads to early detection – early detection is leading to more lives saved. During Melanoma/Skin Cancer Detection and Prevention Month the American Academy of Dermatology recognizes “Skin Cancer Heroes” – patients and survivors including friends and loved ones who have helped and supported them – because survivors know firsthand that early detection is the key to survival. In fact, for individuals whose melanoma is detected and treated before it spreads to the lymph nodes, the survival rate is 99 percent in comparison to those with advanced-stage melanomas – who have a survival rate of just 20 to 63 percent. Bringing Hope and Providing Support – Melanoma/Skin Cancer Detection and Prevention Month is as much about creating awareness and underscoring the significance of early detection and prevention as it is about providing hope and support to patients – as well as those supporting them on their journey. Numerous studies have found that patients who have strong relationships with family members, friends, a community or religious group are more likely to experience better treatment outcomes than those who feel alone in facing their fight and their fears. Thanks to organizations like IMPACT Melanoma and the American Cancer Society, which offer programs and services that help both people with cancer and their loved ones navigate their lives through treatment and recovery—more people are finding the resources they need. Best of all, the help is free. Melanoma/Skin Cancer Detection and Prevention Month is a campaign that not only forges strategic partnerships but pulls together a broad spectrum of stakeholders—from advocacy groups to policymakers—with powerful targeted messages bringing us to the forefront of tremendous changes in lifestyles and perceptions and with the potential to stay with us all year long, and hopefully for a lifetime.